This partial Certification Study Kit Bundle contains the course materials for three of the five CCP modules you need to complete the Cloud Security Specialist Certification program and prepare for the associated exams required to attain the Certified Cloud Security Specialist accreditation. These Study Kits are offered together at a 20% bundle discount. Also included is the Cloud Computing Design Patterns paperback textbook. 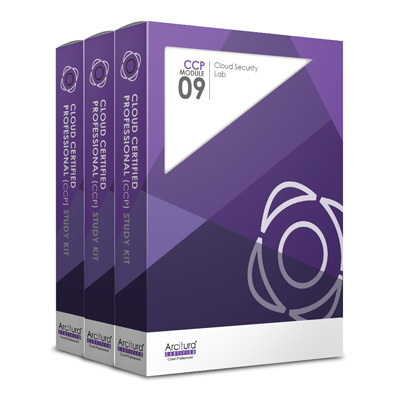 For more information about this Certification Study Kit Bundle, visit the CCP Cloud Security Specialist Certification Study Kit Bundle (Partial) page. Also available are optional add-ons for the purchase of associated exam vouchers and eLearning Study Kits. The exam voucher add-on is for a set of pre-paid Pearson VUE vouchers for Exams C90.07, C90.08 and C90.09. The Cloud Security Specialist eLearning Study Kit Bundle (Partial) add-on provides on-line access to course materials and media content. This is a partial Certification Study Kit Bundle that is suitable if you have already completed CCP Modules 1 and 2 and passed Exams C90.01 and C90.02. If you have not yet completed these course modules and exams, and if you intend to attain the Cloud Security Specialist Certification then consider purchasing the CCP Cloud Security Specialist Certification Study Kit Bundle (Complete) instead.